Master Your Client's Data To Build An Advertising Agency For The Future. 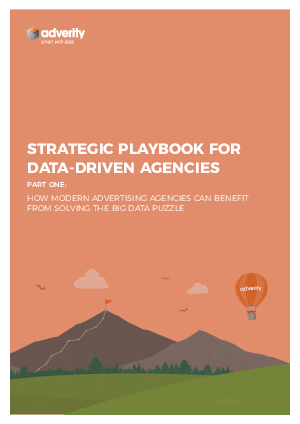 This is the first part of our ebook Strategic Playbook For Data-driven Advertising Agencies. In this installment, we cover how agency executives can benefit from their client's data to maintain a sustainable, future-proof business in times of digital transformation. Once you decide to master your data, you will be rewarded with deep, meaningful insights and happy long-term clients that get the most out of their data. We know it’s worth it! Signup and download the 28-page pdf-document to understand how data will secure your spot in the future advertising industry.